In an age where it is easier than ever to spread your message it seems that all & sundry are on the internet in one form or another. Whether it’s social networking in the form of Twitter, FaceBook or Linkdin, websites or blogs, chefs seem to have cottoned on to the fact that for very little or no outlay (other than their time) they can promote themselves, ideas & their food. Obviously being bloggers ourselves we did what would come natural and went online to the social networks. Thyme & Plaice written by Steve Bennett , the head chef of a country house hotel just outside of Cardiff. Although not a prolific blogger, Mr Bennett has done some excellent posts, one in particular about his experiences of Restaurant Sat Bains. He also recently visited amongst other places Alinea in Chicago which he documented via his Twitter account & through The Caterer’s forum, TableTalk. There was an overwhelming response on Twitter for one blog in particular. Luke Mackay written by, well, Luke Mackay. He is a private chef & writer in Notting Hill, London. Then they let you in and you get some truly revolting free canapés. Which is so unbearably depressing, because it is aspiring to pretention which is bad in the first place, but then carried out with such laziness, lack of skill and finesse that my heart sank at the thought of what I might have to actually pay for. Luke Mackay’s posts are well written & insightful with slight hints of sarcasm & humour, making it a very popular destination for readers. Russell Brown from Sienna Restaurant, Dorset. has time. Not only has he started a blog but he has also submitted his responses to the now infamous ‘5Questions’ with supporting photography from Richard Budd. 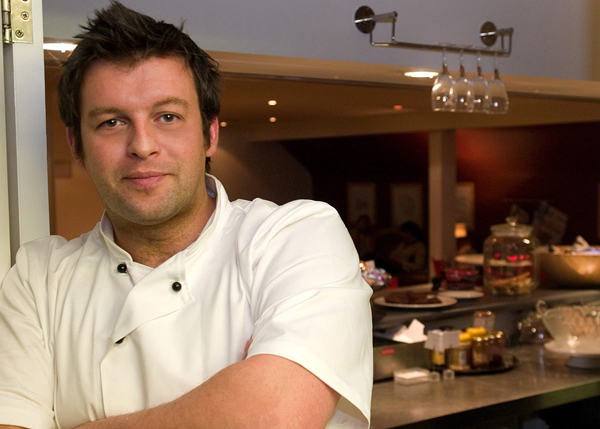 Sam the Moody Chef , who is the Head Chef at The Bath Priory. Sam again is clearly a busy chef, but having started his blog in mid October he has racked up an impressive post rate of 1 every 3 or so days. Focusing on the produce which comes to the Moody Goose, he is happy to give his small producers mentions along the way. JJ Ace by Jacob Lyons from Florida with his blog promoting his catering company. Again posts are sparadic (one would imagine due to work / life commitments) but he documents some of the food he does and what shapes his style. Pastry chef Brian Campbell got in touch via Twitter, from New Zealand. and although it hasn’t been updated for some time now, the pictures are outstanding. Through trawling the internet there are many blogs from foodies & chef alike, dependant on what you are looking for, Tasting Menu was great but posting has slowed somewhat in recent times. There are also the ubiquitous blogs, Playing with Fire & Water and Ideas in Food that will nearly always get mentioned by chefs who scour the internet for inspiration. There is an array of bloggers that in their own way also contribute to the blogosphere writing and publishing their own reviews. Jonathan Greenbank recently posted his review of Aiden Byrne’s new restaurant at The Hillbark. Whilst not a chef, we’ve given him a mention as he responded to our tweet about this very post. I know u won’t class it as a blog but I work really hard @ giving an insight into what we do! 771 tweets since may28. 99% of tweets include a food photo! After all a photo tells a thousand words, doesn’t it? And he’s right, although some regard Twitter as an alternative to FaceBook status updates, it is in fact called micro-blogging. The skill lies in trying to convey your message in 140 characters or less, but you can also follow some of your favourite chefs. The likes of Jason Atherton, Tom Aikens, Michael Caines, Thomas Keller, Simon Rogan, Grant Achatz, Nathan Outlaw, Gordon Ramsay, Heston Blumenthal, Raymond Blanc, Antonio Carluccio, Rick Bayless, Jamie Oliver, Sat Bains , MPW, Alex Aitken, Delia Smith & Hugh Fearnly-Whittingstall are all on there. 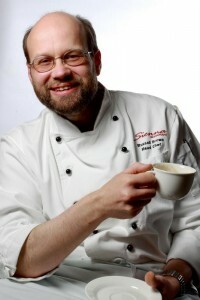 If there is a chef you feel like you have a particular affinity with, then they are probably on Twitter. The problem if you have a media profile & you’re on Twitter, is that you are likely to have a satirical alter ego commenting on your every post. The most prolific ones which we’ve found are Gordon Ramsay#2 and James Martin , but be warned the subject matter & language can be a little fruity. How is that Michelin star food? It looks sh*t! Here in lies the problem. More & more chefs resort to the internet for inspiration, yet the further up the accoladed ladder you climb it appears that chefs become more guarded. Do they blog anonymously? Tom Aikens touted the idea not so long ago on twitter, we like the idea but have yet to come across it, if it has even happened yet. Ha, what do they know? as they question their customers palate & taste. Yet it seems the fear of being judged online is just too much for some. ← Martin Blunos to return to the stoves? Very interesting post this and thanks for bringing to our attention some of these blogs. One thing, though, Sam Moody is head chef at Bath Priory not Moody Goose – unless this was a play on words! Sam’s blog is worth checking out. thanks for the mention, and in prime position too! glad you recognise the fact that the blog is in its infancy, there are a few posts in the pipeline including the alinea one which i promise will be worth the wait! Thanks for the mention, I’ll try to keep the post rolling.